Resin Mini Shield Badminton Award. Classic gold finish with silver detail and white and gold shuttlecocks. Measuring 95mm high. 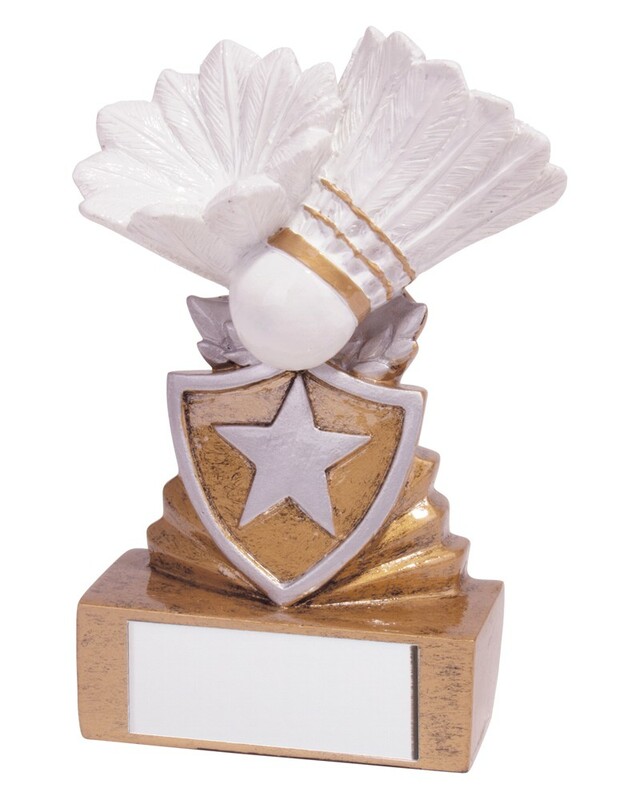 A great fun badminton trophy.